Watch out, Pardner...there's some Bad Boys in Town! 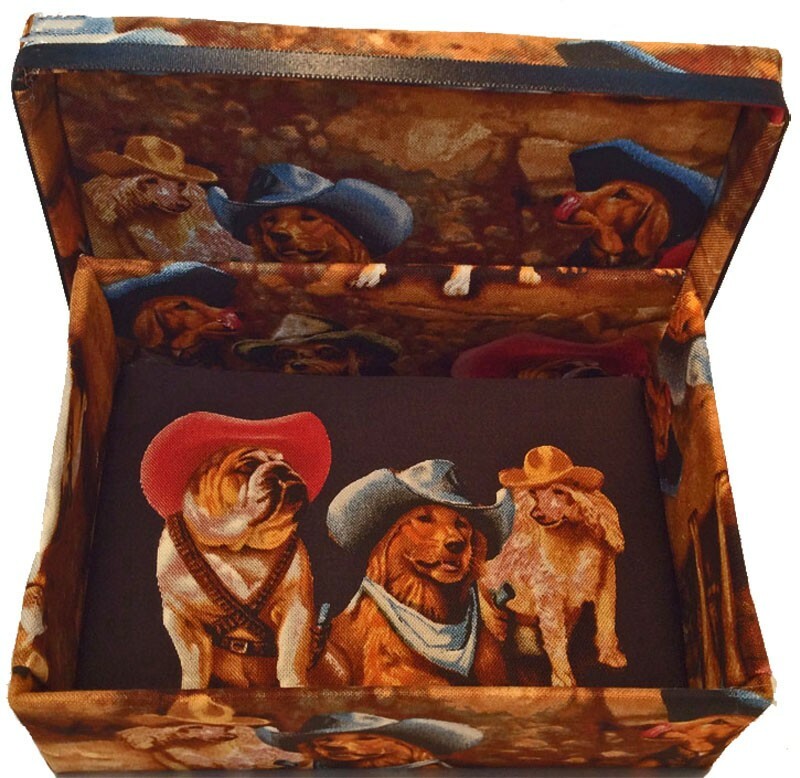 Bull Dogs, Setters, Shepherds and other Canines in cowboy hats, bandannas and gun holsters against a rocky backdrop cover the outside of this box. Inside, you'll find more dogs in Western duds against a black background. This whimsical box not only has practical uses, but will make you smile! Comes in one size only - 5.25" x 3.75" x 2". 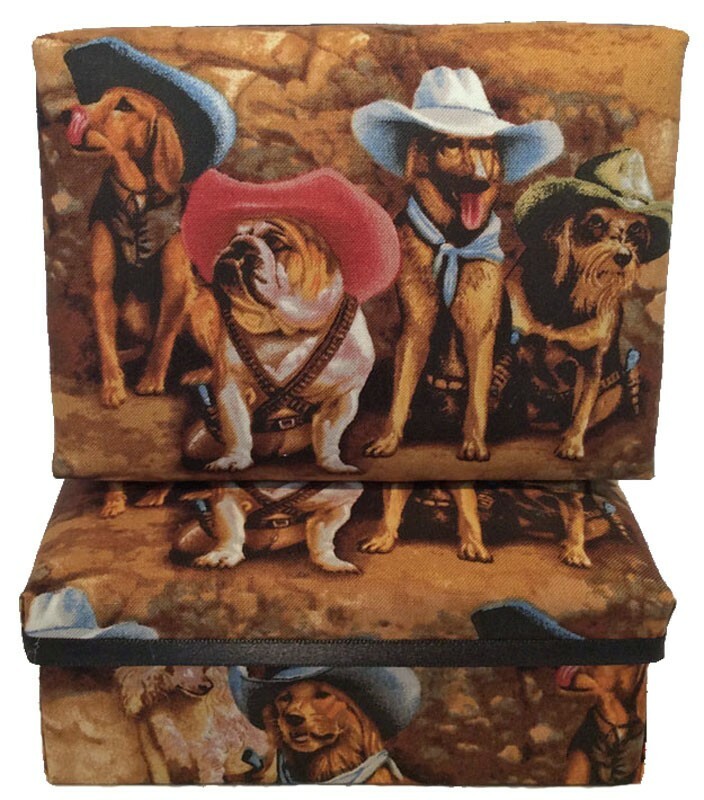 What a unique gift for dog lovers or those with a passion for Westerns, Rodeos and the Great Plains! Perfect place to hold watches, coins, keys and other 'dresser junk'.